"Chore Wars!" Getting your spouse and children to help with household chores is one of the most common and frustrating challenges. A Harvard Business School study surveyed 3,000 couples and found that 25 percent of couples who divorced listed “disagreements about housework” as the top reason for splitting up. However, it's not the work that is the reason for couples splitting up. It's more related to the lack of communication, support, fairness, and perceived inconsideration we feel that are the greater challenge. So what do you? 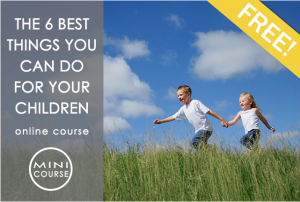 This course get's to the center of the issue and provides top methods of organizing your marriage and family so your spouse, and children, help with household chores....without the fighting and complaining. Even better, these tools help your marriage and entire family to feel closer, more cohesive, and more optimistic. These positive characteristics push out the negativity, stress, anger, and frustration. These tools are easy enough for anyone to use, but so powerful that "chore wars" will seem like a much smaller issue in your life. Use these tools. Trust them, and get your family organized—Communicate more clearly, improve negotiation skills with your spouse, eliminate stress and anger, and experience a closer, more loving marriage with a considerate involved spouse, and a happier, unified family. 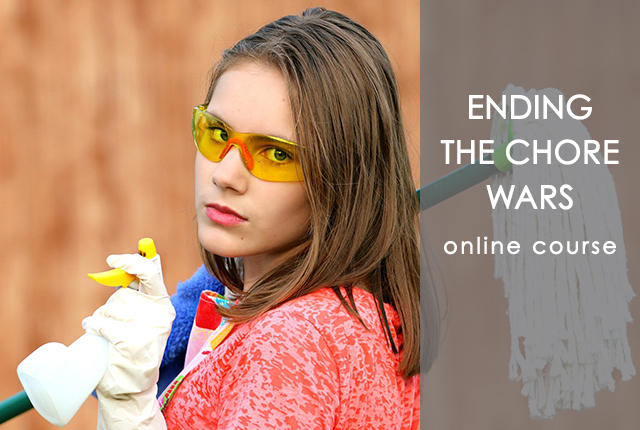 Involving chores, for us it seemed like a number of smaller issues that made chores more stressful. Our marriage and family was mostly functional, but stress seemed to be higher than it needed to be. We were able to use these methods to create structure in our family. With this structure, we've noticed it is much easier to get the kids to do their chores because they understand it's just part of life and this family. For example, when kids want to go play, but they haven't done their jobs yet, we simply ask them if they've done their jobs yet and they recognize they haven't and get to work. We don't have to have an argument over it. The structure seems to manage it so doesn't feel like we parents have to always be nagging. We totally recommend this course!